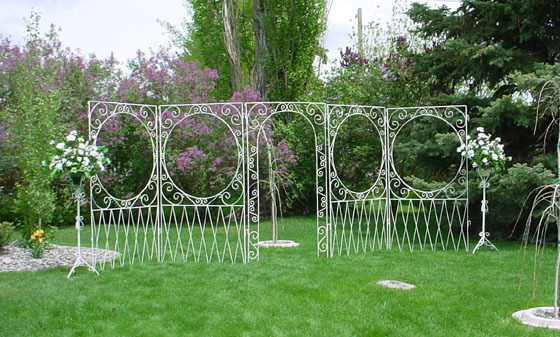 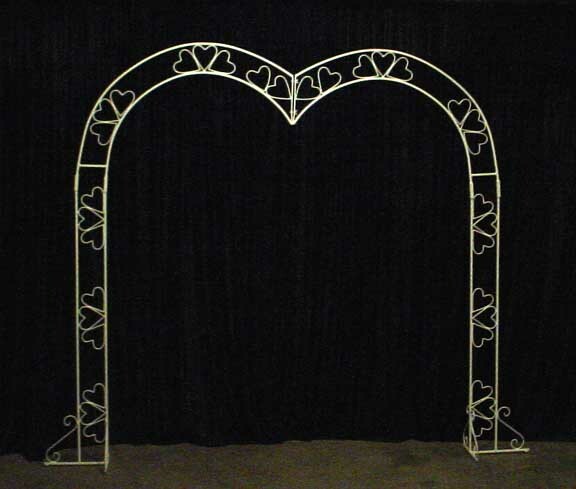 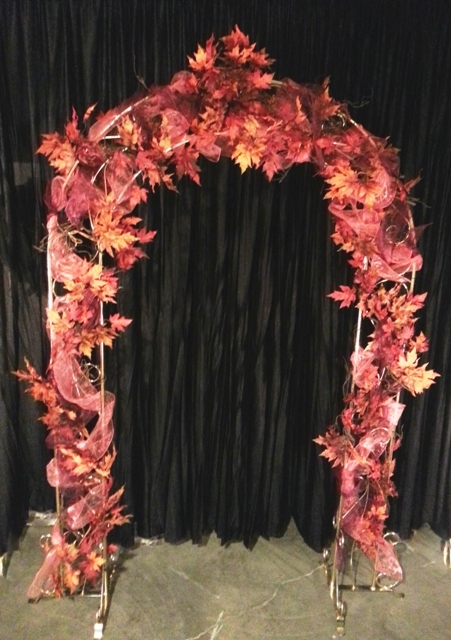 Wedding Garden Arches, White iron arches, Country Creations rental decorations. 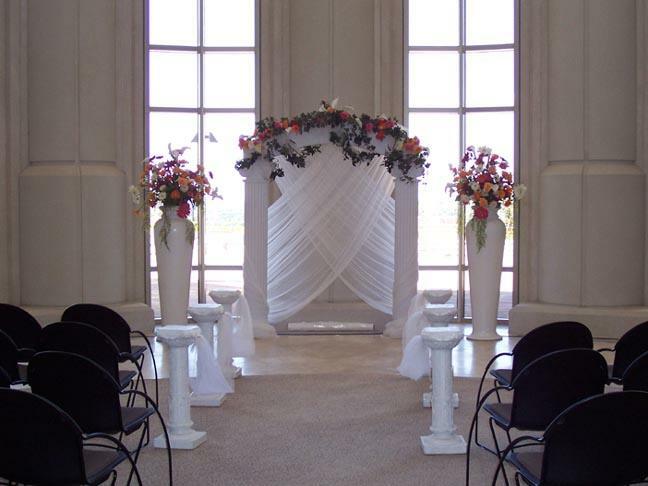 Grecian Column Arch with crossing chiffon and 2 large bouquets on tall urns. 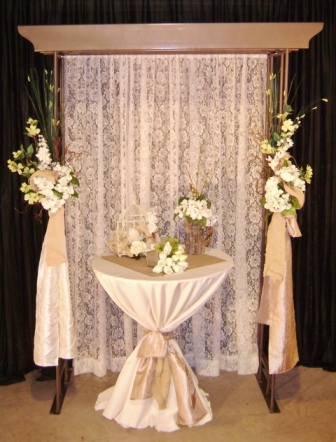 Pergola with cream crinkle and hanging willow garland behind. 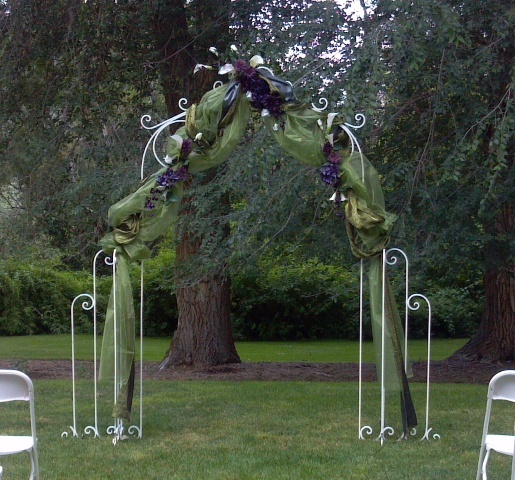 Tied florals in Lavender to purple with succulents and eggplant crinkle ties. 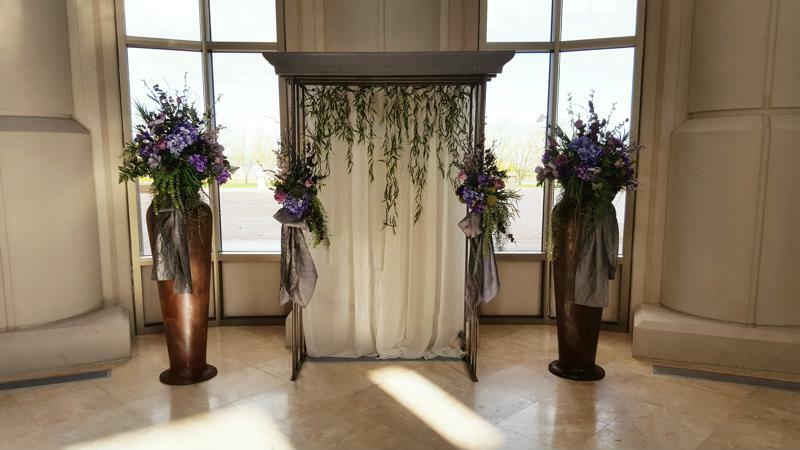 Large florals in tall brown urns with matching florals and ties. 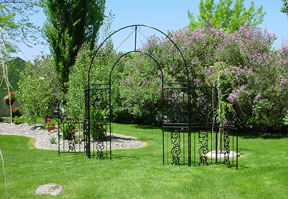 Pergola rents for $75.00 and large florals are $85.00 a pair. 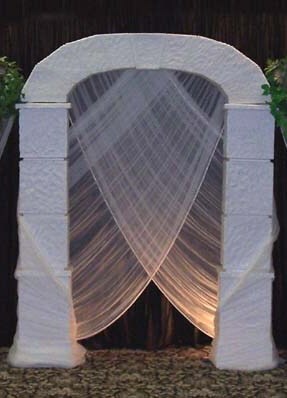 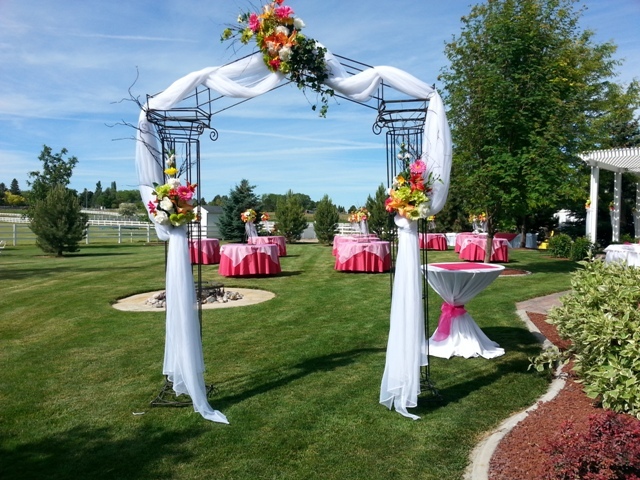 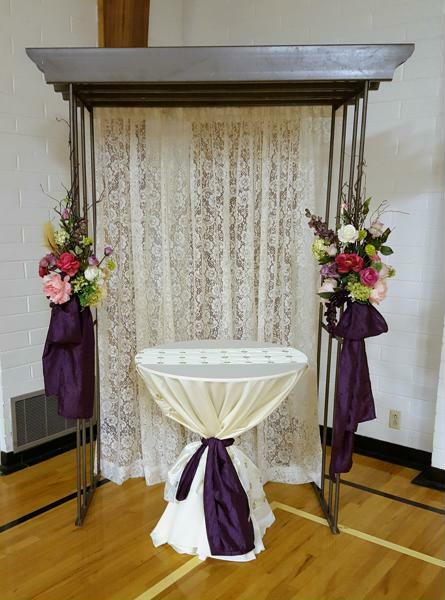 Square Column Arch with crossing chiffon. 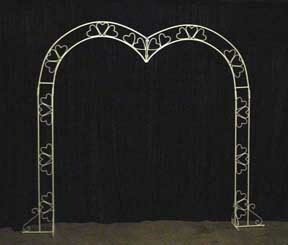 White Iron Panel Backdrop with arch. 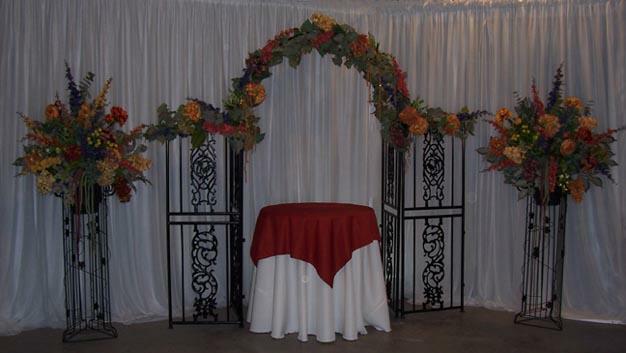 floral ouquets on white iron stands. 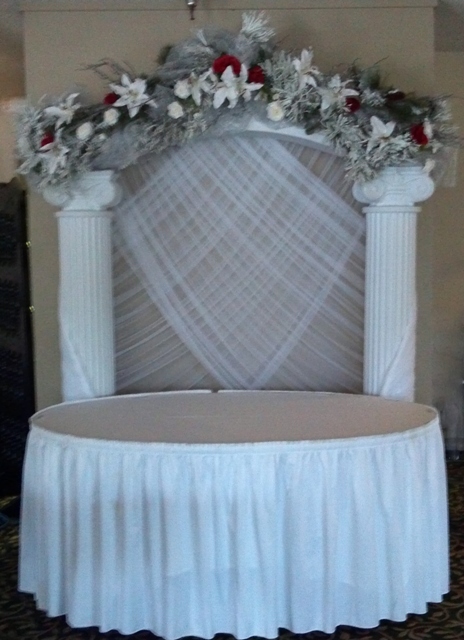 Grecian Column Arch with crossing chiffon. 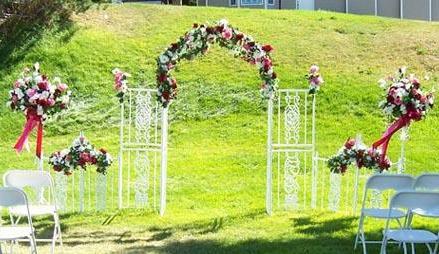 or entry to garden wedding. 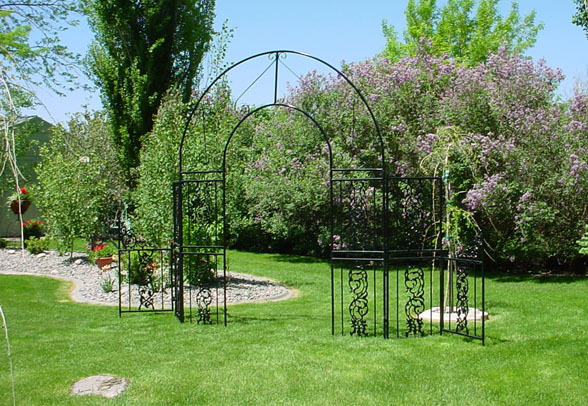 call us at 208-237-4520 or, e-mail us.